How has your summer been so far? For me, it’s been flying by. I don’t remember the last time I’ve ever been this busy! It’s partly because we are in a new house and are still unpacking, renovating AND redecorating. Plus, we are in the same town as most of my family. I see my mom almost every day and am always running around with the kids dropping them off here and picking them up there. Let’s just say it’s chaotic and I’m sure you can relate! I’m looking for ways to save time and my sanity. Anything that helps me to relax and have a moment of peace is always a good thing! A few weeks ago, I shared a tip to help moms take a Mom-Cation Moment and survive a rainy day with glitter. Bridget is still wearing her crown around the house and gave her cousin, Avery, the one she made for her. Merry Maids, the expert in home cleaning, has a mission this summer to offer tips and tricks for moms to enjoy summer and take a much needed Mom-Cation Moment. They understand that cleaning up kid-made messes are more time consuming in the summer with the kids out of school and want to offer moms some inspiration with The Summer Mom-Cation Tips to help you relax and enjoy your summer too. Debra Johnson, a Merry Maids home cleaning expert, has some tips on how to take The Summer Mom-Cation. I’ve already tried a few of her tips and I have to say, they are genius. I was talking to a friend this week and telling her the solution to the messy Ice Pops that kids love to eat all summer long. They get drips get everywhere- all over their face, clothes and the house. Ugh. The solution is so simple! I told my friend what I’ve been doing and she remarked how smart of an idea it was. You can easily turn the notorious Ice Pop Drips into a Mom-Cation Moment the Merry Maids way. I bet you have this item already in your pantry. All you will need is some cupcake liners and a pair of scissors. Ta-da! 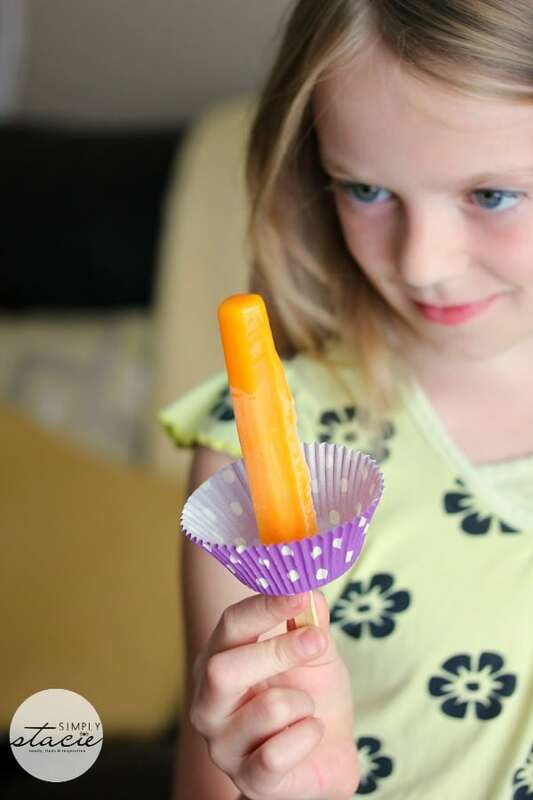 Meet the DIY Ice Pop Holder to catch those sticky drips and keep your kid, their clothes and your house clean! They take two seconds to make and you can make it fun for your little one and let them pick out the colour of the cupcake liner. I have a whole basket of coloured and patterned cupcake liners for cupcakes I make to feature on my blog. I let Bridget look through them and pick one she wanted to use. No surprise here. She chose purple, her favourite colour. Bridget takes a long time to eat her Ice Pops. She wants to savour the cold sweetness as long as she can. Normally that means a drippy mess, but using the Merry Maids tip worked like a charm. The cupcake liner did its job and caught all the sticky drips. It was nice to not have to step in sticky spots on the kitchen floor for once. 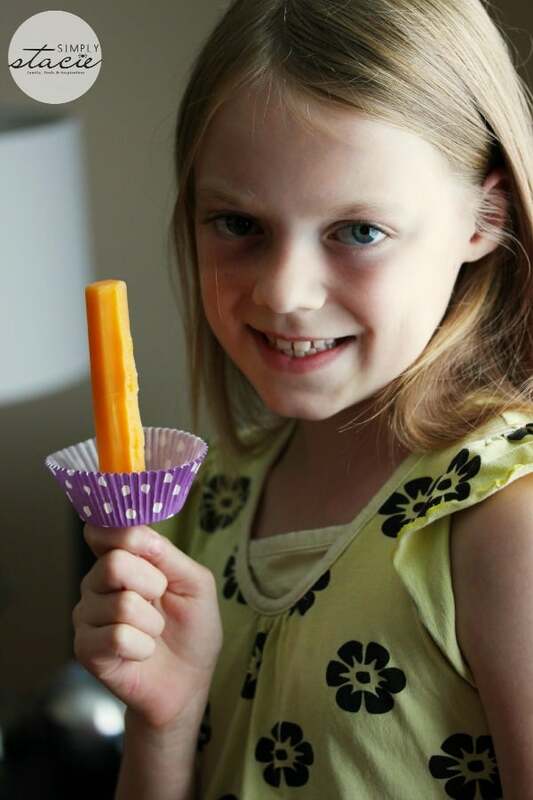 I’m keeping cupcake liners in easy reach for Bridget and her friends to use when they want Ice Pops. New house rule! Let’s say that Ice Pop stains DO get on your carpet or upholstery. Don’t despair! There’s The Summer Mom-Cation Tip that will take care of the mess. 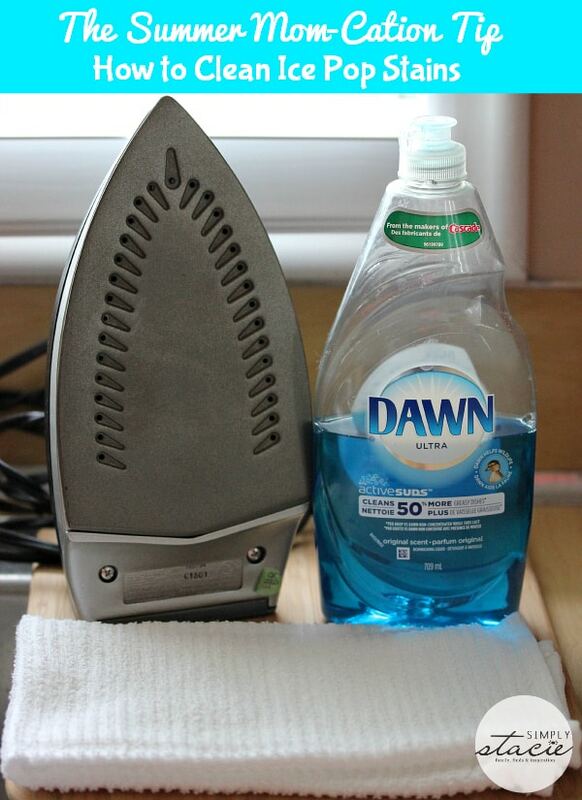 To use this home remedy, you’ll need some dish soap, an iron and a white terry cloth towel. 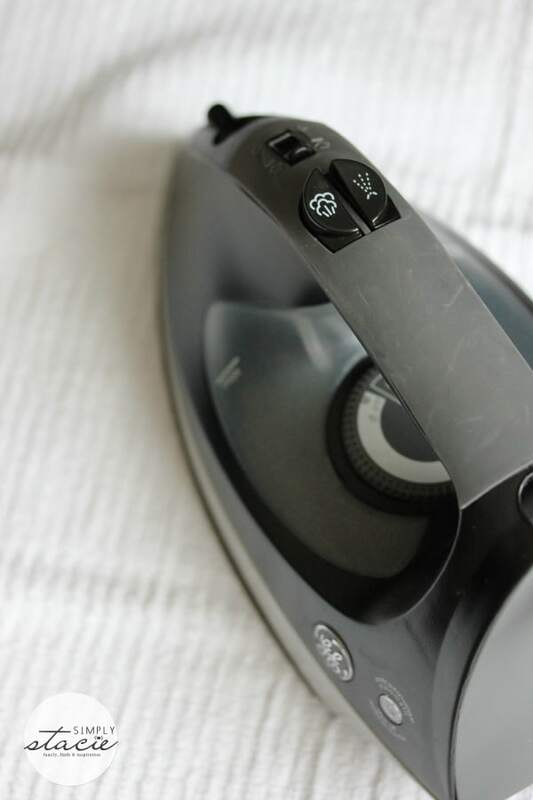 Debra Johnson suggests first dampening the stained area with a dish soap, Then place the white terry cloth towel over the solution and run over the towel with a hot iron. It will help to transfer the stain to the towel. Easy! Hopefully the kids don’t get the drips on your furnture or floor, but now you have a simple way to clean it up if they do. Do you have any cleaning tips or Mom-Cation Moments to share? Visit Merry Maids on Facebook and share your story with the hashtag #MomCation. Keep an eye on their page for fun contests they’ll be hosting throughout the summer. What are some of the kid-made messes that you’ve had to clean up so far this summer? Now thats a fabulous idea!!!! Thank you for the tips on pop stains too, we’ve already run into that one a few times! That’s a great idea! Especially grape popsicles. Those stains are difficult. 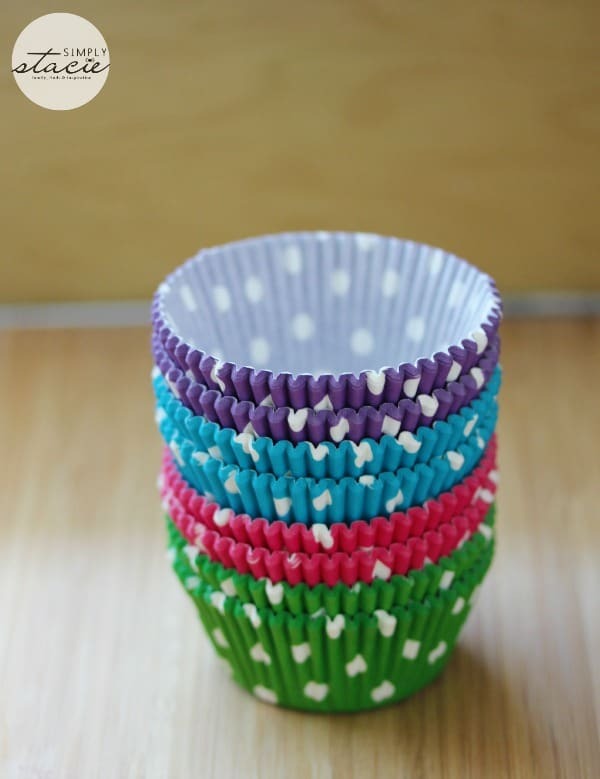 What a great idea to use the cupcake liners! I am definitely going to make use of that tip (even for the adults!). Love the popsicle trick! That is such an awesome idea. One of those simple, easy things that you can’t believe you didn’t think about before. Thanks. With my grandkids coming in a couple of weeks this will be a big help. Very useful tips, thanks for sharing. I thank you for this great idea! 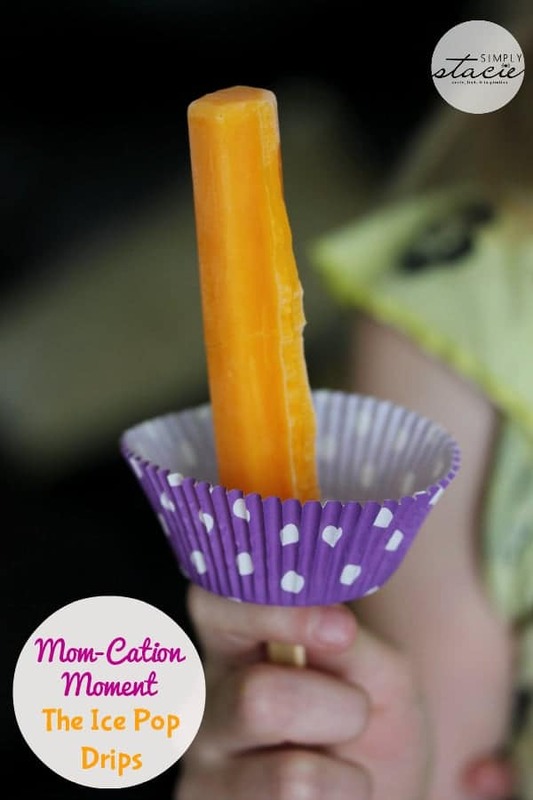 These DIY Ice Pop Holders are marvellous, what a great idea! Who would have thought? Love this idea! 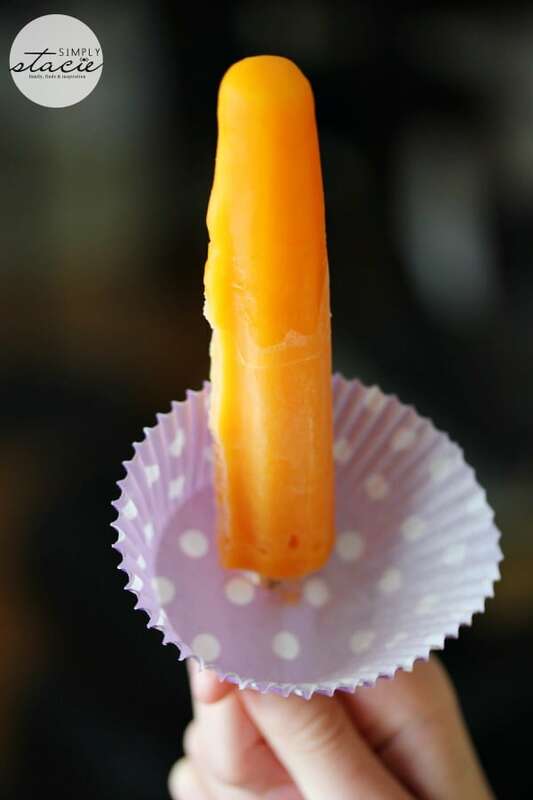 That is such a great idea, using cupcake liners to catch popsicle drips, genius. I have not had to clean up any kid-made messes, thank you for sharing this post. Omg I LOVE the ice pop idea!! My daughter always takes an hour to eat her freezies, I should try this, so awesome!!! that is a brilliant idea using cupcake liners, wished I thought of this earlier, sure would help with the drips!! You are every parent’s guardian angel..XXXXXX Thank you for these awesome tips.They are simple solutions to problems that are bound to happen with little ones around.These tips are so greatly appreciated. This will save my daughters clothes from being stained. What a simple but great idea to prevent the inevitable drips from ice cream and popsicle drips! I’ll try your solution to removing the stains, maybe it will work on other stains as well. I will have to remember these great tips come summer time!! What a clever and cute idea! Awesome! Thats a great stain tip. I remember my mom using a cupcake paper.